The people responsible for creating the mod and ensuring the servers keep running. The direction of the project is something that these people focus on! The main thing to ask is... What new things do we expect to see in the future? Managing the Human Resources team and making sure that the right people are selected to join our team! Who do I speak to when I apply to the team? Look no further as your answer is these people plus the manager of the team you applied for! They also make sure that our team has no issues! Oversees the Community Managers and makes sure that the Community Managers are interacting with you the best they possibly can. Making sure that our Game Managers are doing everything by the book! This role is focused more behind the scenes than any other game role. They are interacting on all of our platforms! Whether it's Facebook or Twitter to the Forums and Game! These people manage our support team! They are here to assist our team in assisting you! Any questions that our gurus need help with themselves, these people are there! On the forum, Discord or the Facebook group - making sure rules are being followed. These people are in charge of the Community Moderators. This person is in charge of our media team. Making sure that all our assets and YouTube videos are up to the high standards that we have. Managing our Game Moderators and team leaders! It is a vital value of us that everything is run to policy. Bringing the community together with exciting official events, and supporting community events created by you. Mananging Team of Translators. Making sure everything released to the community is available in different languages! Leading our teams of Game Moderators and making sure that your reports and appeals are dealt with quickly and correctly. These are the people who train our Game Moderators to become the watchers of the roads! These people are the peacekeepers of our game network! If these people were not here, every road would be chaos! They have watched our Game Moderators and are now ready to start training to become a watcher of the roads! Observing our Game Moderators and starting to get the feel of moderating our large game network. The gurus when it comes to helping you fix whatever issue you have whenever you have one! If you need help, all you need to do is ask them! The new people on the block. These people are learning to be the gurus at the helm of our support system! Feel free to ask them any questions that may help them. Translating assets and posts for the community. 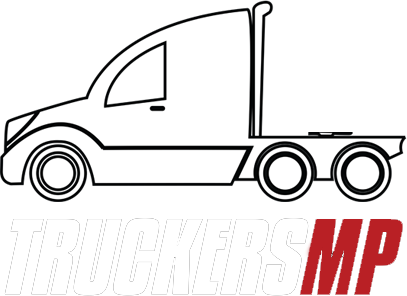 Making sure the community understands what is going on at TruckersMP. Offering convoy control, planning amazing events such as races and offering useful advice. Don't know how to make your event successful? Ask them! Keeping our Forums, Facebook page & group and our Discord clean and tidy. Feel free to say hi to them but don’t spam. Creating videos, photos and more. Creativity and skill are just 2 of the many skills that the members of this team have! Invulnerable, immortal and always working. We are what you would only dream to be.